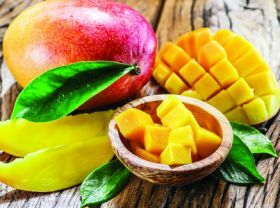 Mexican mango exporter association EMEX is planning to launch a quality seal for Mexican mangoes by the end of the year. The association’s president, Francisco Villegas, said the move would reinforce Mexico’s push into export markets like Europe, Asia and the Middle East. “In a global market like the one we face today, it would be very beneficial for a sector as important as Mexico’s to have a seal of quality to differentiate its offer from that of other producing countries, and ratify the high quality and food safety standards that characterise our mangoes,” he said. According to Villegas, EMEX has several new projects lined up for 2019, including the introduction of more automation in fields and packhouses, and the organisation of the second International Mango Congress. “During the coming year we want to continue growing and opening new markets, while consolidating food security throughout the industry,” he said.